Currently still in cash until we see some more constructive action in the market. In the image above, I've dropped the May through August 2010 chart of the SPX over the current chart. 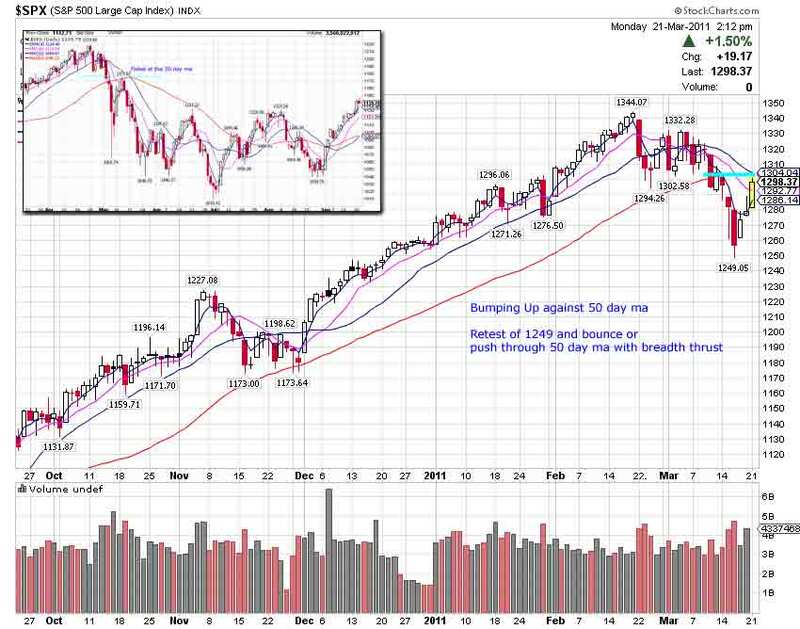 Back in May 2010, the market was in a similar scenario. After cutting through the 50 day moving average it rallied for a few days and kissed the 50 ma before continuing back down. Looking at today's action, you can see a similar pattern forming. Until we see a significant push through the 50 day or a successful retest of 1249 area on SPX, cash feels like the safest place. 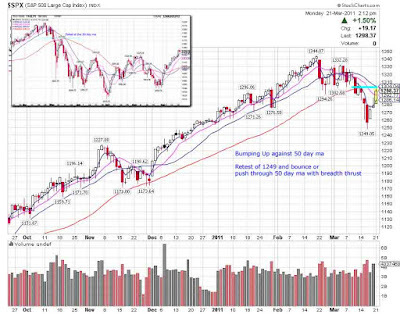 No Response to "3/21/2011 - A Quick Look at the S&P"